A 5/6 scale model of a Boeing E-4 Advanced Airborne Commande Post (AKA Nightwatch)for you to order your nuke launches from if your VC-25 has problems (or you just like more antennas). 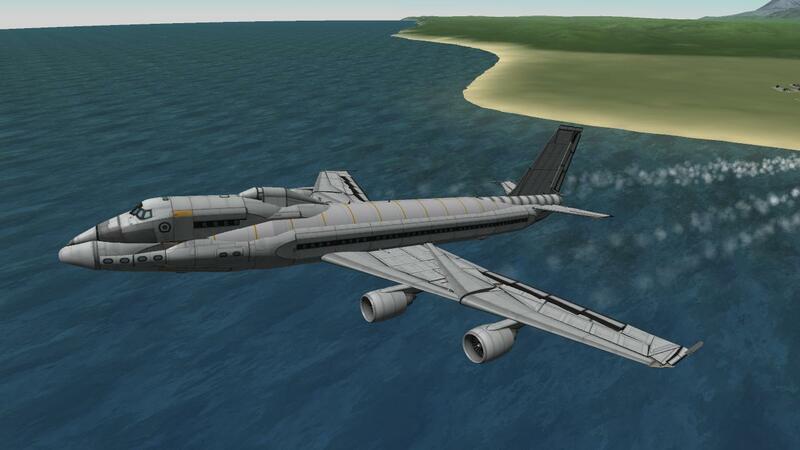 Note: I have realized that I have been leaving out the flap track fairings on most of my larger planes. I’ll try to fix that soon. A stock aircraft called Boeing E-4. Built with 317 of the finest parts, its root part is mk3Cockpit.Shuttle.